15-hour workdays, difficult passengers, hard-to-meet monetary incentives–it’s all in a day’s work for Grab drivers. 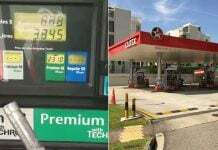 And for some drivers like Ms Shirley Yeo, life is hard at home too. Ms Yeo is a single parent, raising 3 school-aged children. Given these tough conditions, it’s easy to see why Ms Yeo took issue with a recent rider she was supposed to pick up. 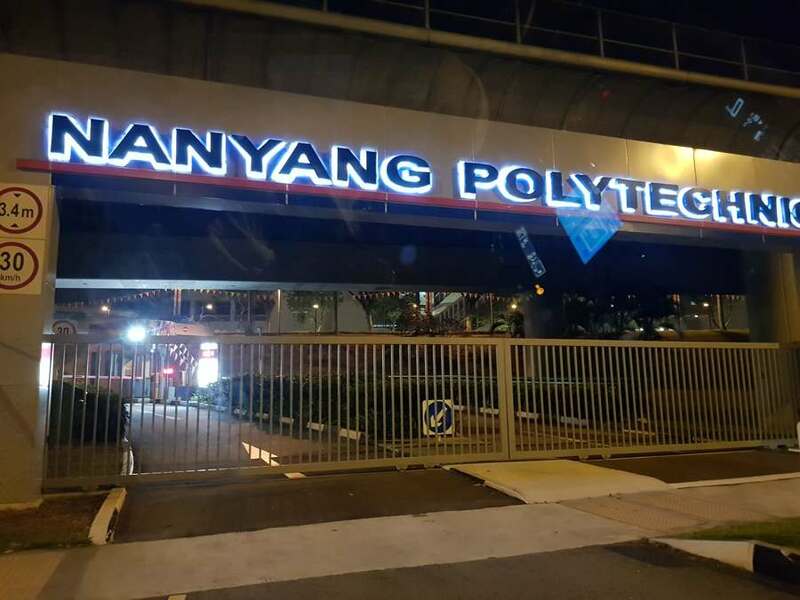 Ms Yeo’s ordeal began on Monday night, when she accepted a Grab booking from Nanyang Polytechnic (NYP) to Punggol. Upon reaching NYP and realising that the main gate was closed, Ms Yeo called the passenger. But they failed to locate each other. That’s when the passenger issued an ultimatum–find the location or cancel the ride. So Ms Yeo told him that she would cancel the ride. 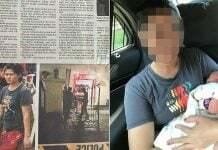 Unhappy about this, the passenger sent a text message accusing of the Grab driver being rude. 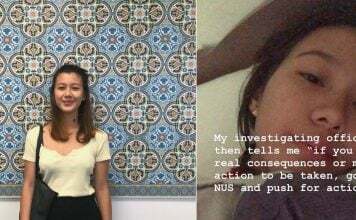 Ms Yeo then reached out to the passenger to address the accusation and explain her situation. But that didn’t end well. The passenger hung up on Ms Yeo after raising his voice at her. 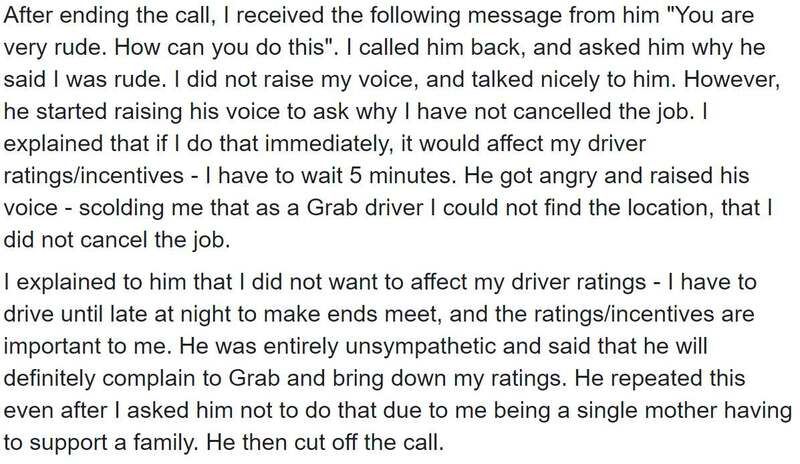 Ms Yeo felt the need to share her experience on Facebook, as she wanted passengers to see things from the perspective of Grab drivers. 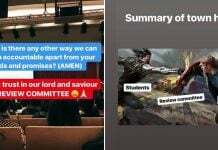 Netizens were sympathetic towards Ms Yeo and offered her advice. This netizen feels that being a Grab driver is among the worst jobs in the world. 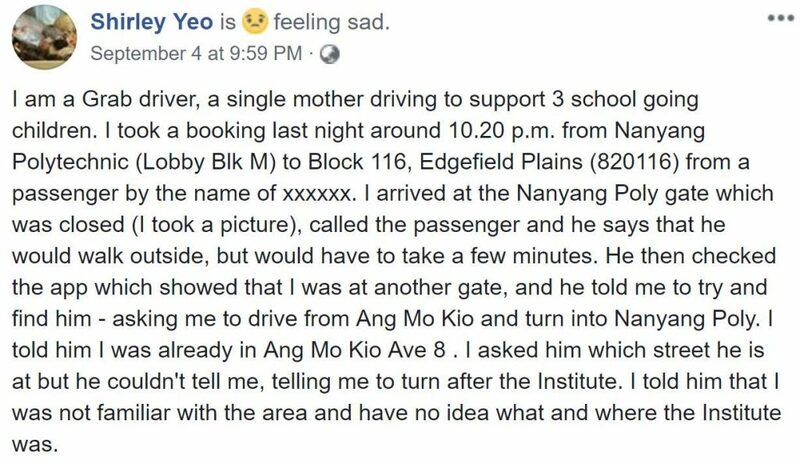 Another netizen recommended Ms Yeo to consider moving to the dark side–aka taxis. 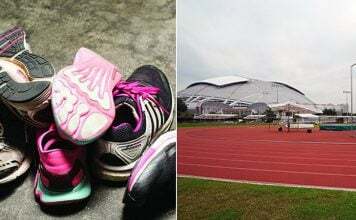 This netizen advised Ms Yeo to not take the passenger’s comments to heart. 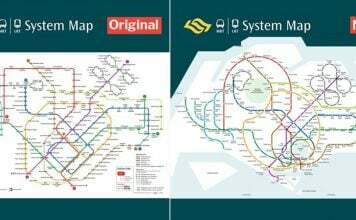 Living in Singapore alone is reason enough to be stressed, ain’t no need for us to exert additional stress on ourselves–a point put across perfectly by this netizen. 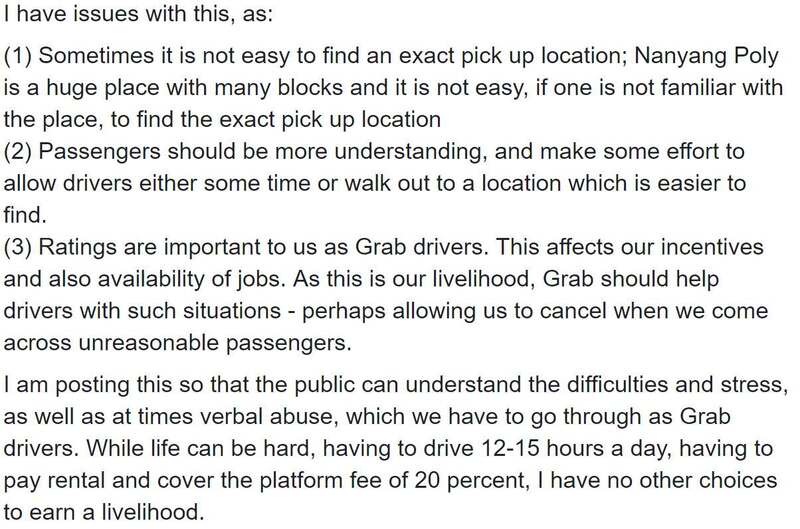 Ms Yeo’s post shows us that though Grab drivers are providing us with a service, we should be more empathetic towards them. 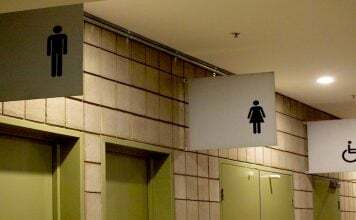 After all, they are humans like us, and a little bit of kindness isn’t going to cost you a single cent. In fact, it might make you feel better about yourself. Featured image from New Property Launch Consortium.